LEGO Chima Scorm's Scorpion Stinger 70132 set review! LEGO Chima Spinlyn's Cavern 70133 set Review! LEGO Star Wars General Grievous' Wheel Bike 75040 set review! LEGO Star Wars Microfighters Millennium Falcon 75030 review! LEGO Star Wars Microfighters TIE Interceptor 75031 set review! My wife & I have already built enough sets to last through the next couple of days, so I'll see if I can spend a little more time in the studio and get caught up. HI! I love your review! 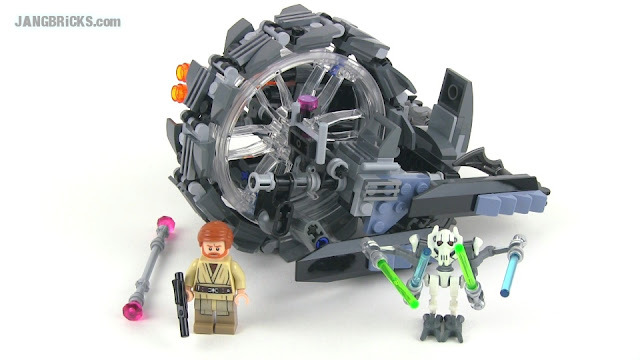 One thing that I would like to see is for the review set the special pieces (before you actually build). By special pieces I mean unique or rare or very large plates or other pieces. I actually follow your review to make a list of my 2014 / 2013 lego items. Thanks for the fun review again!